Aaron has been a builder since a young age. Whether it was repurposing old gadgets or woodworking with his father and grandfather, he has always enjoyed creating something beautiful and unique. 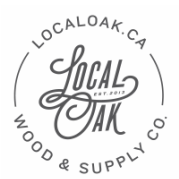 Local Oak distinguishes itself by offering a variety of services for whatever project you need. Please feel free to contact me with any of your questions. I am eager to take on new projects and build something special for you.